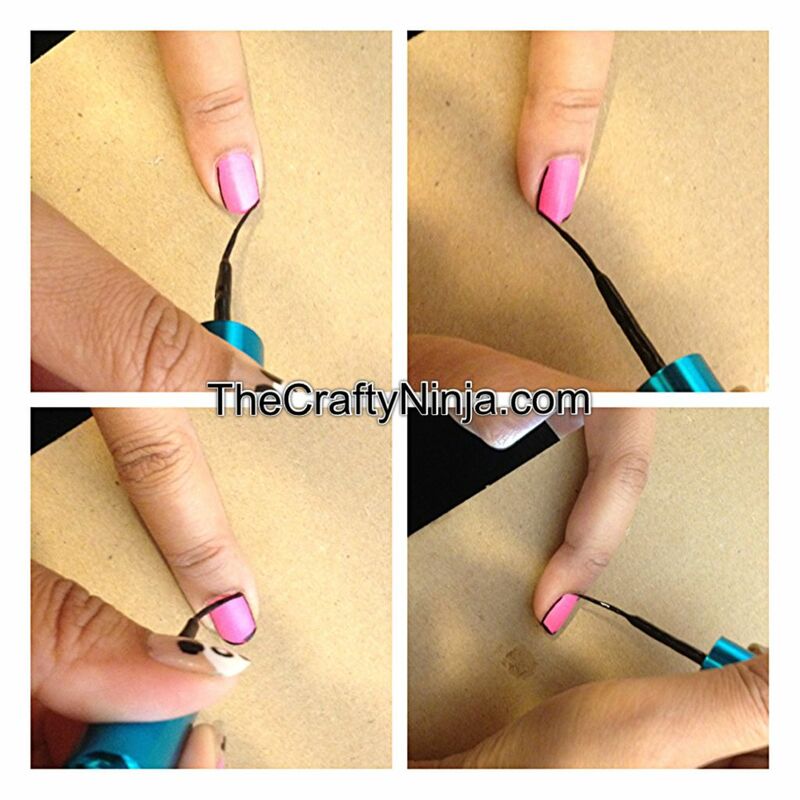 Today’s nail art tutorial is how to create an outline or border nails. 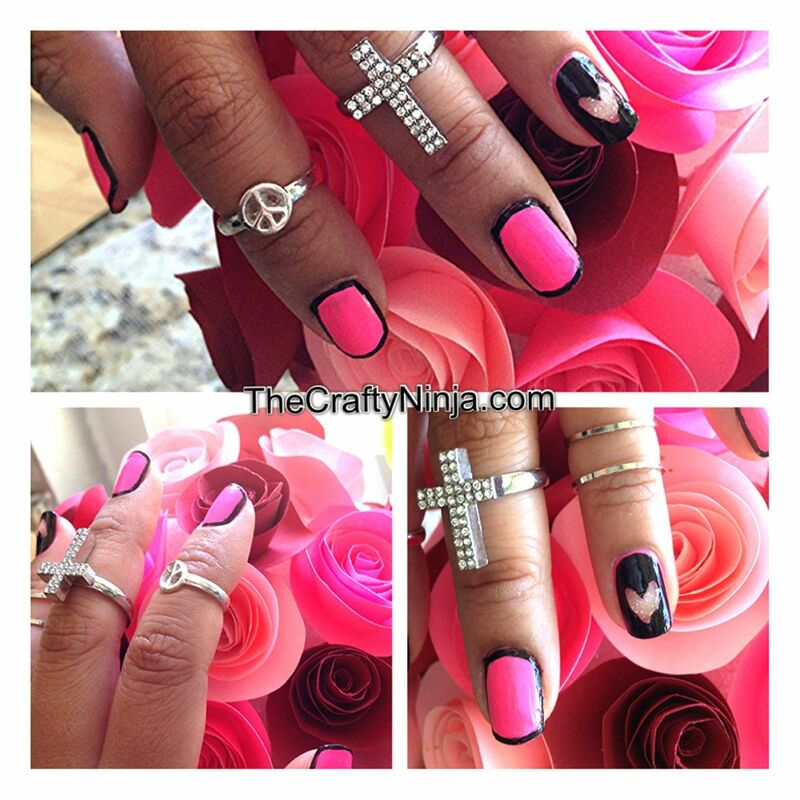 After doing this style of nail design, I loved it! It is one of my all time favorite looks. Its simple but very unique. First to create this look you will need any color nail polish, I used China Glaze Shocking Pink, and LA Colors Art Deco in Black, I purchased the LA Color Art Deco set. I always use Finger Paints Base Coat before I began and finish off with Finger Paints Top Coat to seal and protect my nails. to create the border I start at one side and draw a straight line, repeat on the other side of the finger. Next to outline to tip I start from the outer edge and draw a thin line to the middle, then start at the other edge and meet the line in the middle. Same with the bottom outline, start at the outer edge to the middle and repeat. You will need a pretty steady hand to create the outline because the slightest movement can cause a messy line. Now to create the clear Cut Out Heart is simple. All you need is a small brush, I used a lip liner, and acetone, which I poured into a dapper dish, or you could use a contact case instead. 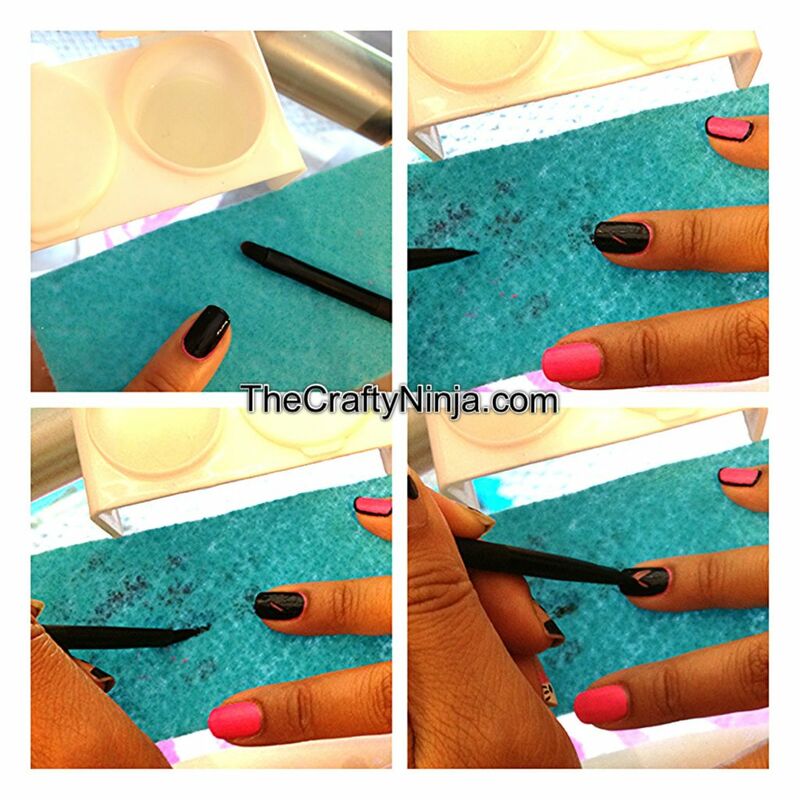 Dip your small brush into the acetone, next wipe off the excess on a towel, I used a piece of felt, and draw a small diagonal line. You will the wipe off the brush on the towel removing the nail polish. Again dip into the acetone and start forming a “V”. Wipe off the excess onto the towel and repeat until a heart starts to form. 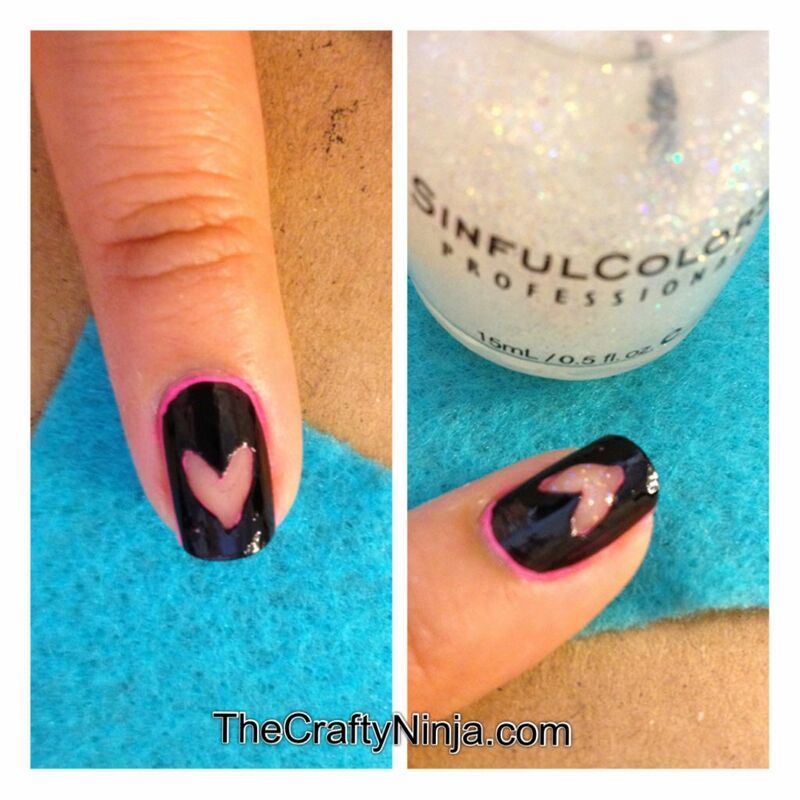 Last add a fine glitter nail polish inside the heart for some sparkle and shine.